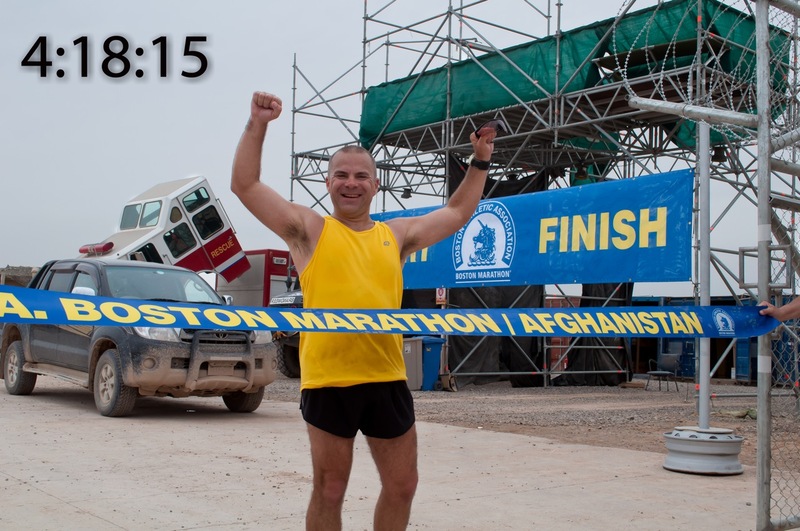 On Saturday, 16 April 2011 I ran my first marathon. Finish time was 4:18:15. A – Finish in under 4 hours. B – Beat Oprah (4:29:20) Check! D – Don’t crap my pants. Check! 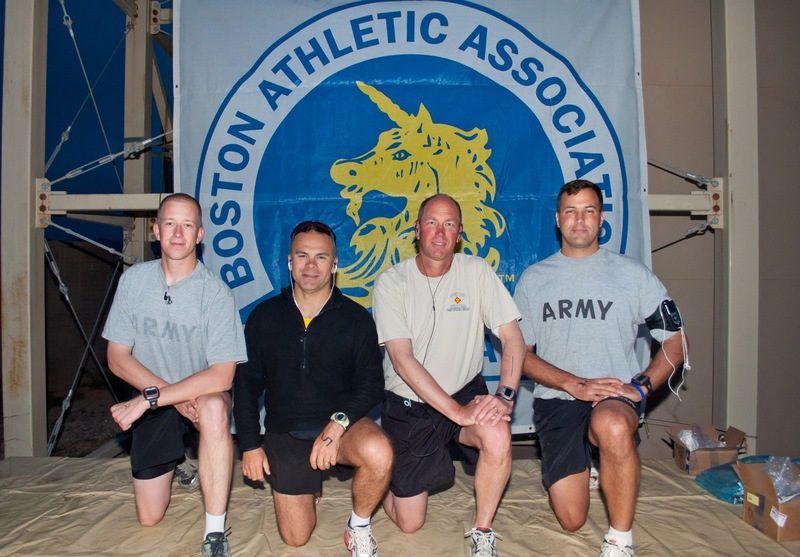 The marathon was an official satellite run of the Boston Marathon that will commence on Monday, 18 April 2011. I trained well for this. 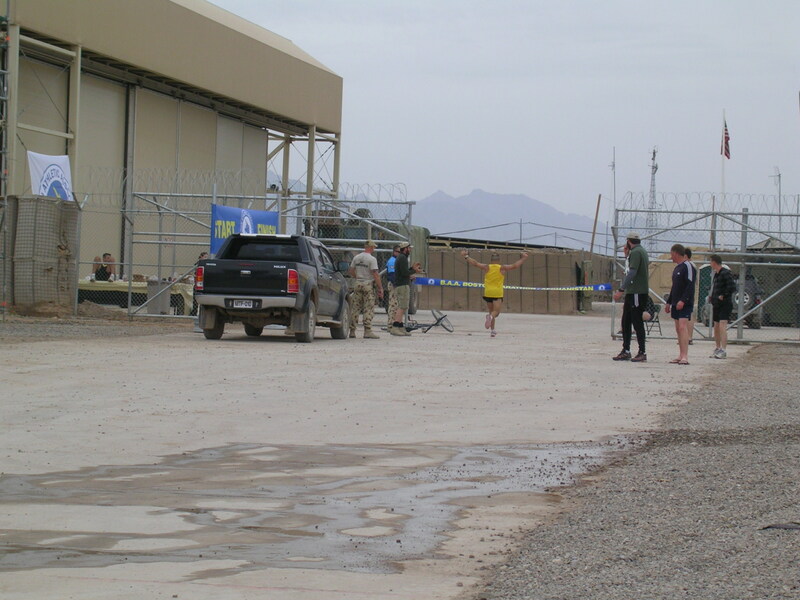 Here in Afghanistan we are sitting at an elevation of 4500 feet. There are no asphalt roads. Just gravel and dirt trails covered in potholes. I got used to it and it’s not so bad. The elevation took a while to get used to. 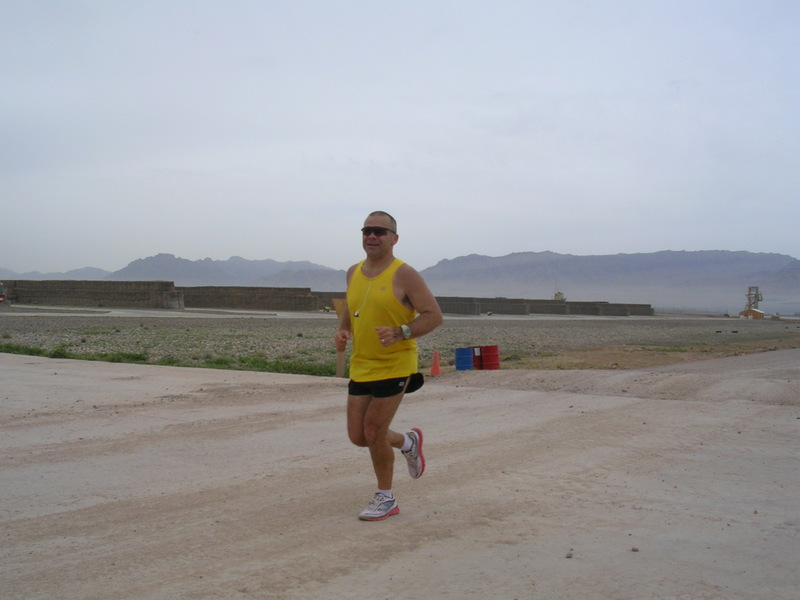 Before I got to Afghanistan, my normal training pace was about 8:00 per mile. 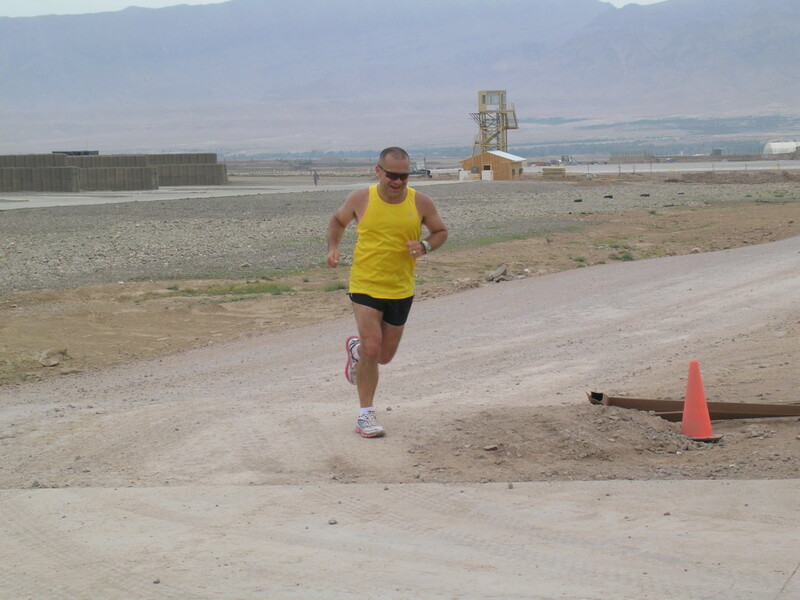 When I got to Afghanistan my training pace immediately dropped to 10:00 per mile. 3 months later I’m down to about an 8:30 pace in normal training runs. The weather was perfect! Overcast, cool, and just a slight breeze. I thought I was going to nail my A goal with time to spare. This was not to be. My stomach was clearly upset and got worse as the start approached. My plan was to run the first 6 miles at a 9:30 pace and the remaining 20.2 miles at a 9:00 pace. 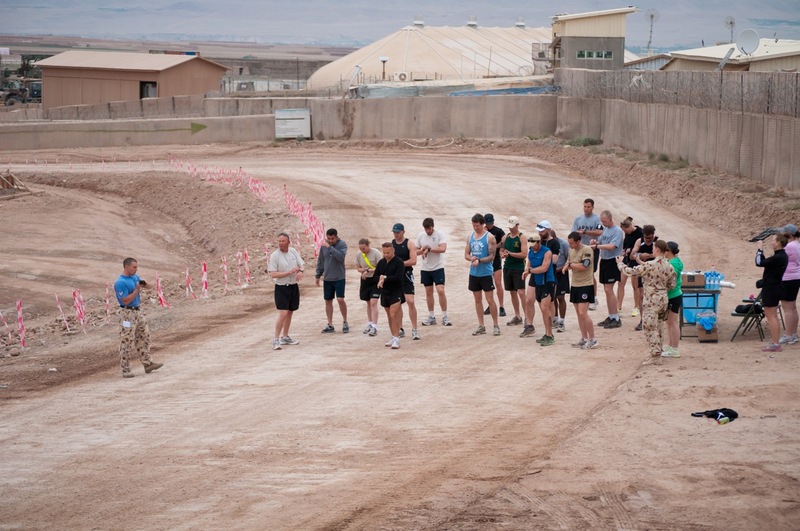 The course was 7 laps around the airfield; each lap approximately 3.79 miles. As soon as the race started I was in jeopardy of not achieving goal “D.” I was forced to make a pit stop for the first three laps. Still wanting to finish sub-4 I increased my pace to an 8:30 pace. This was a mistake that I would pay for around mile 22. I had used GU during all of my long training runs and don’t think that was the problem. The problem was likely the gatorade or a combination of GU and gatorade. Laps 4-6 went by fairly well. The last lap, however, was brutal. I was literally running water station to water station telling myself if i had a cup of water in my hand I could walk. Each time I stopped it became harder and more painful to start again. I was literally screaming as I began running again. After the final water stop with about a mile to go I dropped the hammer. Unfortunately, it was a jeweler’s hammer and not a sledge hammer. I finished with a respectable 4:18:15 achieving goals B-D! Since it was my first marathon I also PR’d!! I really want a sub-4 and will be looking to achieve that in Kansas City in October. Before the start. Me and my running partner in the middle. The starting line. This is the BEST section of “road” on the entire course! First lap complete! 6 more to go! Smiling for the camera! I’m NOT smiling on the inside. Making the turn into the finisher’s shoot! That’s not a smile, it’s a grimace! Posed finishing photo. The photographer was indisposed the moment I crossed!